Film group Entertainment One tasked PS Live with bringing to life the Woman In Black to market the horror character's latest film, Angel of Death. 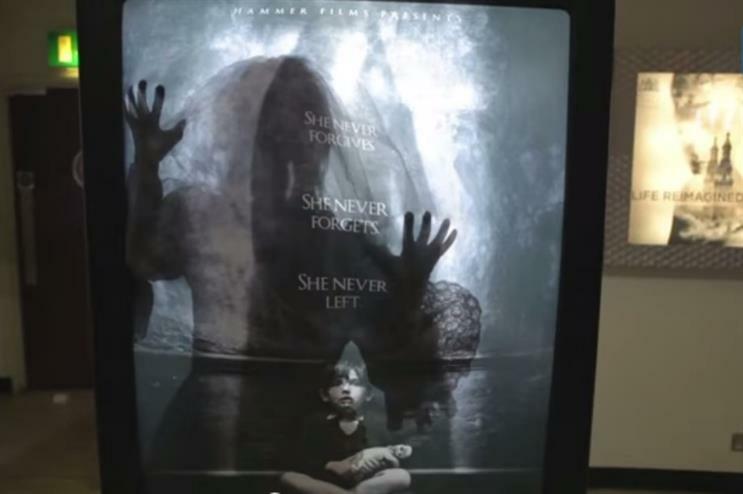 The experiential agency created two stunts for the activation, which formed part of the film's #SheNeverLeft publicity campaign. The first prank took place at the Odeon in Greenwich on 20 and 21 December and featured a poster that came to life. An actress dressed as the spooky spectre hidden behind a translucent screen screamed as the poster lit up to scare unsuspecting passers-by. The second stunt took place at Odeons in Kingston and Newcastle on New Year's Day. Here, the Woman in Black walked through the cinemas scaring movie-goers as her film played. Balpreet Mangat, business director at PS Live, said: "We were thrilled to work on the hotly anticipated release of The Woman in Black: Angel of Death. It has been a pleasure to work with a film studio that is keen to push the boundaries and create a stir amongst fans. "The pranks have gone down really well with viewers and we’ve seen some hilarious reactions from fans who have been genuinely scared."